The Beatles recorded just one version of Little Richard's Ooh! My Soul, for a BBC radio show in 1963. The song was first released as a single in June 1958, coupled with True Fine Mama on the b-side. It was a minor transatlantic hit, reaching number 31 in the US and number 22 in the UK. The Beatles' recording took place on 1 August 1963, at the Playhouse Theatre, Manchester. 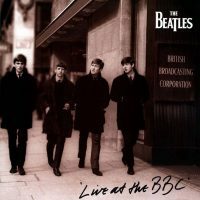 It was unusual by that time for The Beatles to record a BBC programme outside of London. Ooh! My Soul was the first song performed for the 11th edition of the Pop Go The Beatles programme. It was first broadcast on 27 August, and later found its way onto the Live At The BBC collection. The song lasts just 1'37" – less time than Richard's own frenetic version. The Beatles tore through the song, with Paul McCartney delivering one of his all-time greatest rock 'n' roll vocal performances. On the ‘Let It Be’ album, at the end of ‘I’ve Got a Feeling’, Lennon says “Ooh! My soul! It’s so hard”.